I know I always talk about my Carrie Bradshaw Moment, like when I was published in a magazine or when I saw my ad on the Riverboat but this is a REAL Carrie Bradshaw Moment. I have been lusting after a Tulle Skirt for so so long and I finally found one I absolutely adore from The Girl That Loves and it's even called the Carrie Tulle Skirt. It's so soft and it's easy to get on and off. There are adjustable clasps in the back which is great to make it fit if you tuck something into it like I did. So in love with the gemstones on it! 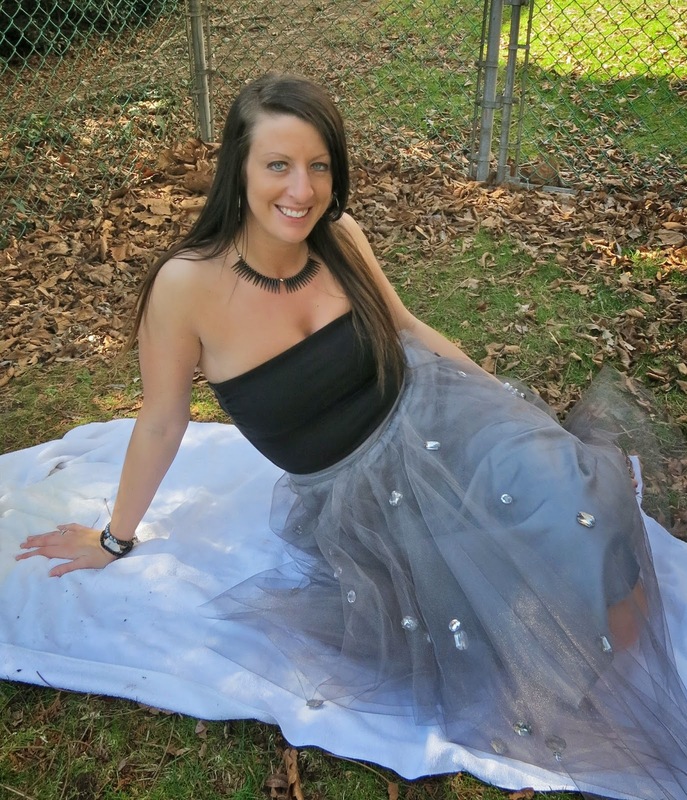 Shoes - House of Stilettos; Carrie Tulle Skirt - The Girl That Loves; Top - Express.